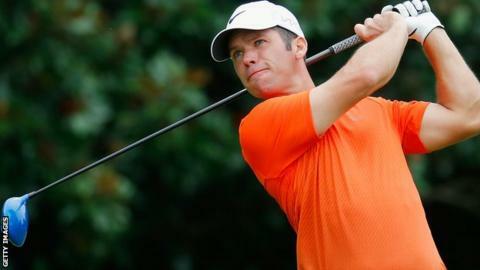 Paul Casey "would love" to play in Europe again, according to new European Tour chief executive Keith Pelley. England's Casey, 38, has climbed from 75 to 23 in the world rankings since resigning from the European Tour to focus on the USA-based PGA Tour. However, Casey would be ineligible to play in the 2016 Ryder Cup because he is not a member of the European Tour. "I think Paul really would love to play on the Tour, but not just because of the Ryder Cup," Pelley told BBC Sport. "We've had a discussion. We'll get together again soon. He's a great star who has been playing well. Hopefully he'll rejoin the Tour and be back with us for some events next year." Casey, who played in the teams that won the Ryder Cup for Europe in 2004 and 2006, is currently the seventh-highest placed European in the world rankings.